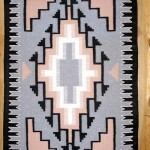 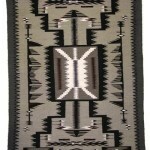 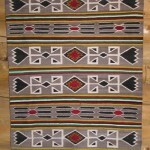 This newly handwoven Storm pattern Navajo rug is 100% wool. 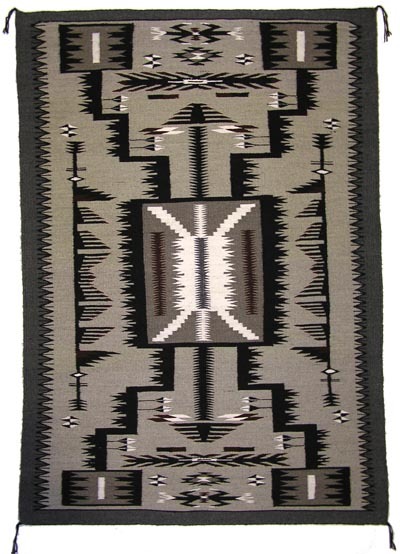 The weaver, Grace Laughten of Kayenta Az, is a member of the Navajo Rug Weavers Association, and the rug includes the Navajo Rug Weavers Association Certificate of Genuineness. 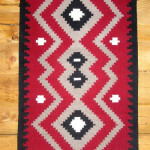 The Storm pattern was accepted as a Navajo rug weaving style in the 1950’s. 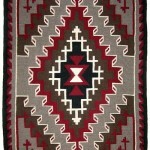 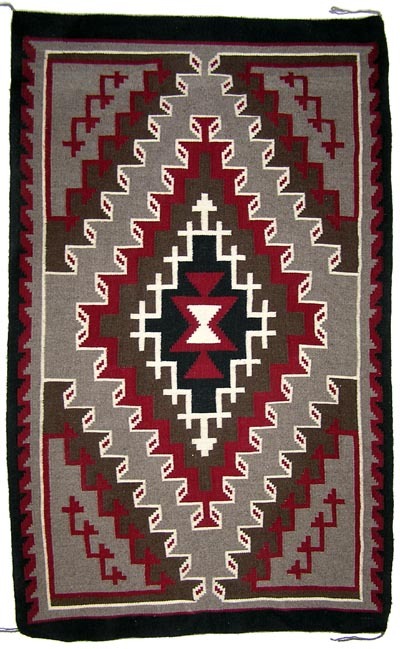 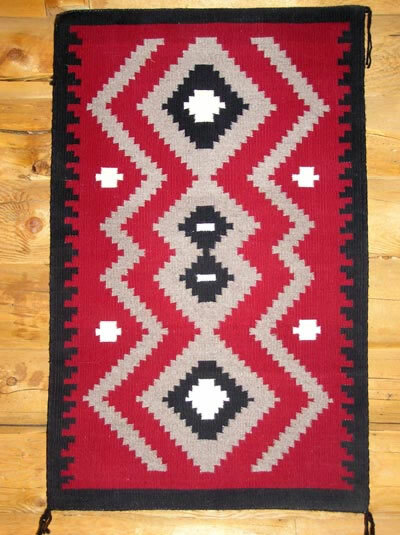 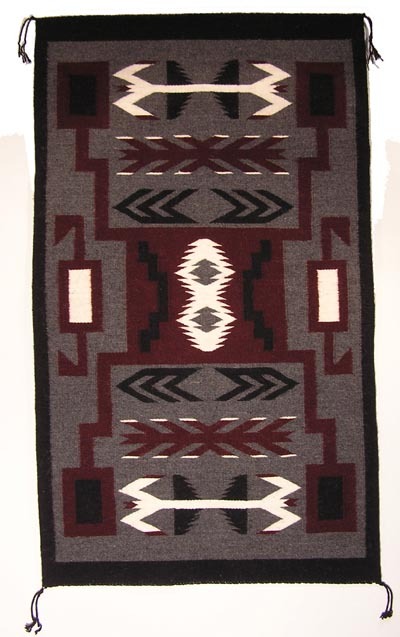 Typically bordered Navajo rugs rendered in black, white, gray and red color combinations, Storm is a distinctive pattern originating in the Tuba City area or western half of the Navajo Indian reservation. 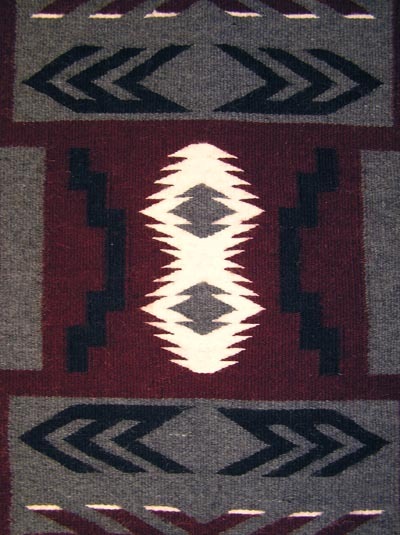 Basic features in the pattern of Storm Navajo rugs include a center box or square, which is described as a hogan or center of the world; smaller boxes at or near each corner of the rug, called houses of the wind or sacred mountain; and four zigzagged lines representing lightning, connecting the center square to each smaller corner box. 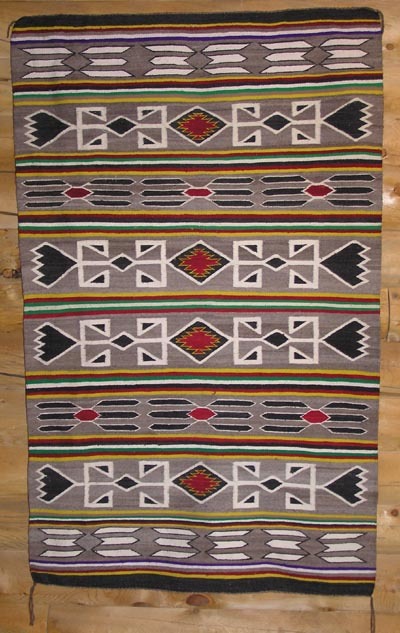 Two figures, symbolizing water bugs or pinon beetles lie at center top and bottom of these Navajo rugs.